The Lab for Autonomous and Intelligent Robotics (LAIR) is a research laboratory at Harvey Mudd College. Directed by Dr. Christopher Clark, research at the LAIR is focused on multi-robot systems and its applications in their field. Within these domains, topics of interest include motion planning, localization, mapping, integration of social systems, and control. Much of the lab's research involves international partnerships and expeditions. Funding for research projects originates from NSF, ONR, Cal Poly San Luis Obispo, Norwegian and Danish funding agencies. 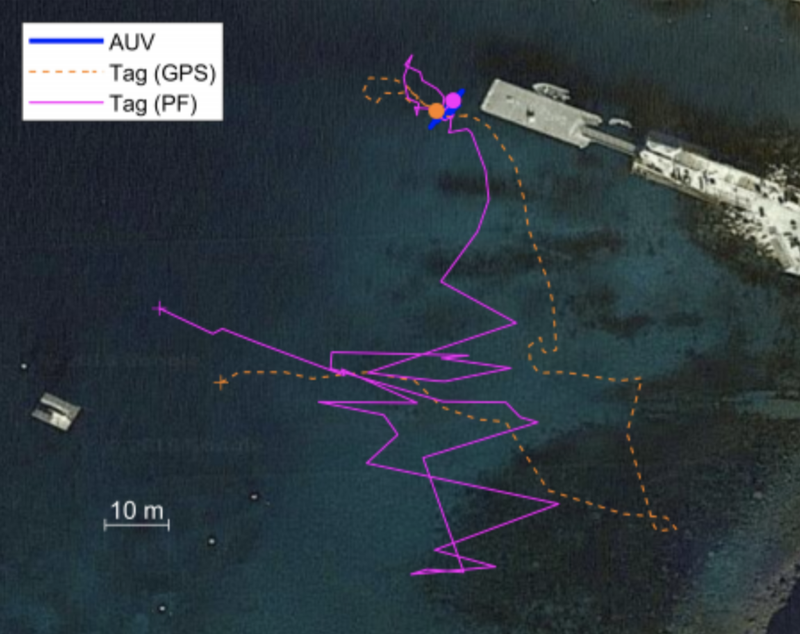 The 2018 Shark Tracking team's paper "Acoustic Tag State Estimation with Unsynchronized Hydrophones on AUVs" was accepted to 2018 International Conference on Intelligent Robots and Systems (IROS) in Madrid. 7/1/2018 - Book Chapter on Shark Tracking published! Prof. Clark co-authored a book chapter, "Use of Autonomous Vehicles for Tracking and Surveying of Acoustically Tagged Elasmobranchs" with CSU Long Beach's Prof. Chris Lowe in Shark Research: Emerging Technologies and Applications for the Field and Laboratory. 5/15/2018 - LAIR Class of 2018 Moving On! In May of 2018, eight students graduated from the LAIR to move on to bigger and better things. Alex Trudeau is joining University of Alberta as a Masters student. Kimberly Joly will be studying at the intersection of Technology and Entrepeneurship as a Masters student at École Polytechnique. Zayra is joining Intel as an IoT Engineer. Jane Wu will study towards her Ph.D. at Stanford University in the Department of Computer Science. Jessica Lupanow has been awarded the NSF Fellowship and will be starting her PhD in Computer Science at USC. Eyassu Shimelis will be working at MIT Lincoln Lab as an Assistant Technical Staff. Charles Van Eijk and Aman Fatehpuria will be joining industry. Also congratulations to LAIR alumnus who will be joining graduate school next year: Akhil Bagaria will be starting as a Masters student in Computer Science at Brown. Vaibhav Viswanathan will be joining CMU as Masters student in Robotics. Cherie Ho will study towards her Ph.D. at CMU Robotics Institute. Research in LAIR is funded by the following organizations and individuals.